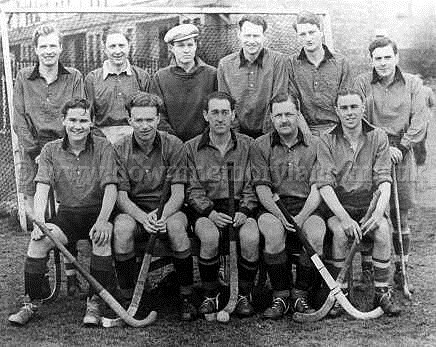 This is Cookstown Hockey Club in 1953. B.Row: Paddy Marks, Bestie Brown, G. Henderson, R. Harkness, E. Irvine and J. McFetridge. F.Row: R. Frazer, N. Willoughby, W. Brown, Brian Ferns and S. Curran. The goalkeeper is wearing a cap. 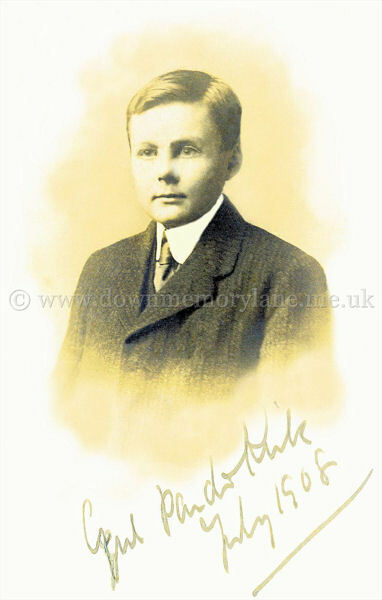 over a 100 years ago!